This past weekend saw a new Premier League season begin. Plenty of intrigue, talent and fandom. Mourinho returns to Chelsea, Manchester United have no Ferguson at the helm, transfer rumors persist, and new American signings bring it home for the fans Stateside. Oh, and throw in the newly-minted coverage by NBC networks and you can see this is a league growing in attention in this country. Scarcely a few months ago we all got the news that Fox Soccer would no longer hold Premier League matches and would be transitioned into Fox Sports 1 coverage. 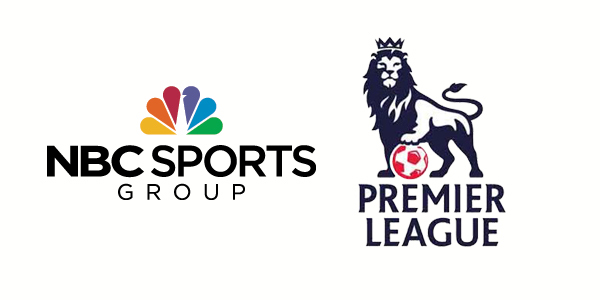 The NBC networks acquired an expensive, yet lucrative deal, to broadcast the entire Premier League season. This included games on NBS Sports and also on network NBC on the lower end of the dial for the Manchester United opening game. There have been few major "splash" signings this summer the like of Fernando Torres or Luis Suarez, although Soldado to Tottenham was impressive. Indeed, it seems like more players are leaving the league these days. Some of these include our own Clint Dempsey and targets like Gareth Bale and Chicharito Hernandez. Internally, Arsenal has tried to capture Suarez from Liverpool, Manchester United has posted bids for Fellaini and Chelsea has looked to sign Rooney. United remains interested in Cristiano Ronaldo and Chelsea is looking at acquiring Eto'o. Unlike major player transfers, this season is full of significant changes in coaching. From David Moyes taking over Manchester United to the return of Jose Mourinho at Chelsea, much of the attention this season will be focused on the sidelines. For Everton, the departure of Moyes will be particularly crucial for US goalkeeper Tim Howard as Roberto Martinez begins his tenure as manager. But why does America care so much about this league? To start, there are several Americans playing: goalkeepers Howard (Everton) and Guzan (Aston Villa), attacking ace Jozy Altidore (Sunderland) and Geoff Cameron (Stoke City), Brek Shea (Stoke City), Agudelo (starting January with Stoke City), Edu (on loan from Stoke City). Past players include Claudio Reyna (Sunderland, Manchester City), Brian McBride (Fulham), Bobby Convey (Reading), Stuart Holden (Bolton), Tim Ream (Bolton), Jermaine Jones (Blackburn Rovers), Eric Lichaj (Aston Villa), Michael Bradley (Aston Villa), Landon Donovan (Everton) and Clint Dempsey (Tottenham Hotspur). Beyond the American presence is an innate allure of most things England and the cross-Atlantic reach of teams like Manchester United and Arsenal, as well as others with slightly lower following (i.e. Chelsea, Liverpool). Many soccer followers with ties to other countries tend to follow the league to keep pace with compatriots (Hernandez for Mexico, for example). There is also the appeal of other sports like American football (NFL) games in London that cross-pollinate with soccer. Other risky broadcasting moves include airing major EPL matches including Manchester United before the Superbowl, a major undertaking by Fox. There is also the inevitable presence of so-called "soccer purists." These are folks that view American soccer with a certain degree of disdain and prefer a faster-paced, star-laden league such as the Premier League. This factor, along with coverage of all matches this season through NBC networks, including Telemundo and online access, make the Premier league the other American soccer league. If you thought that Dempsey's move to Seattle was a coup for MLS and a sign of the league seeking to sign players in their prime then you thought right. Two days ago the LA Galaxy confirmed that their 24 year-old center back Omar Gonzalez, a US international, would be signing a Designated Player contract and would remain in MLS for 3 more years. For years now, Don Garber has been adamant about MLS keeping local talent. They have kept Donovan, Zusi, Besler and repatriated Bocanegra, Davies and Goodson. They went after Dempsey and got him. But the fact that they resigned Gonzalez and at a DP salary is another story all together. 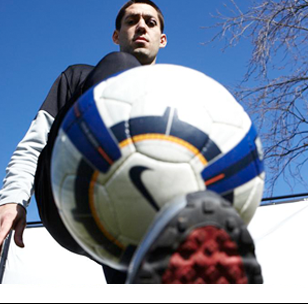 At $1.5 million Gonzalez became the first pure center back to gain a DP in league history. Also, at 24, he is one of the youngest. It is now clear that the league is serious about not only keeping and buying American, but continuing on its way to become a top league in the continent and perhaps, in a decade or so, the world. There are some minuses to Gonzalez staying home. He may not be able to continue development in a more difficult environment such as Europe. Would he keep the starting position in the full national team by staying in MLS? 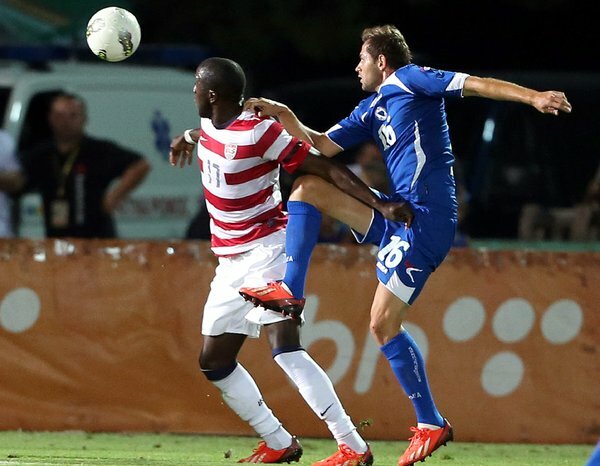 With players like Besler and Goodson also in the league, the competition isn't as stiff. But, if this is the case, how will USA fare in the World Cup? However, Geoff Cameron, when in form, and a surging John Brooks are other potentials Omar needs to worry about. Gonzalez said it himself in an interview. He stayed because the product on the field is getting better, the owners are more active, the fans are getting louder and the stadiums are rising in quality. Who doesn't want to continue being a star instead of potentially waiting on the wings and losing your edge in Europe? Omar might have a point here and it is time for soccer "purists" that don't watch MLS to start paying attention. On paper this was a tough match. Bosnia and Herzegovina are 13th ranked in the world and on their way to their first World Cup in 2014. They have players like Dzeko and Ibisevic and Pjanic from reputable teams in Europe and would be playing at home in Sarajevo. So yes, a win was far fetched. Klinsmann employed another experimental squad by adding and starting recently-pledged German-American Anthony Brooks as a center back. The Hertha Berlin defender had a dream debut in the Bundesliga with a goal scored in his first match. Also available was Aaron Johannsson from the Dutch Eridivisie's AZ Alkmaar and former teammate of Jozy Altidore. In fact, he was the replacement for the veteran US attacker in his club when Altidore moved to Sunderland. Another point here is that both Dempsey and Donovan, the perennial American aces, were given the day off. No matter. After going down 0-2 in the first half due to careless mistakes by Johnson in the first goal and Evans in the second, coach Klinsmann changed tactics and moved from a 4-2-3-1 to a 4-4-2 with Eddie Johnson and Altidore as the twin attackers. Result: 4 unanswered goals. Altidore has grown to own his space and place as the go-to goalscorer. He forces fouls, provides assists, holds the ball and, of course, plenty of goals. In fact, the former New York Red Bull player has scored in each of his last 5 games with the national outfit. And today was no cheap goal, no one moment of glory. It was a dominant striker and a deserved hat trick. Nifty switching for the first goal, a pitch perfect free kick for his second and a one-timer for the third. That's how you announce that you are in form and that other Premier League teams need to watch out. The other bright spot was Michael Bradley, who commanded his midfield once more with elegance and strength. His sublime pass to Altidore for Eddie Johnson's strike to score the first for the Americans exemplifies his attacking qualities. Fabian Johnson also had a good outing at left midfield, providing Altidore with a pass for his first of the evening. Honorable mentions go to Evans, Diskerud, Brooks, Johannsson, and Howard. With the US riding on a 12-game unbeaten streak that has broken previous records three games ago, sights are set on the qualifiers in Costa Rica and versus Mexico in Columbus. The team will be different and the stakes much higher but it is clear that the Americans are once more at the top of Concacaf, with a Gold Cup for proof, no less. Hopefully this won't be a case of "peaking too soon." Such things are more difficult to predict in international soccer given the longer spans of time between matches. It's true, however, that a form like the current one at next year's World Cup could end up giving us something special. 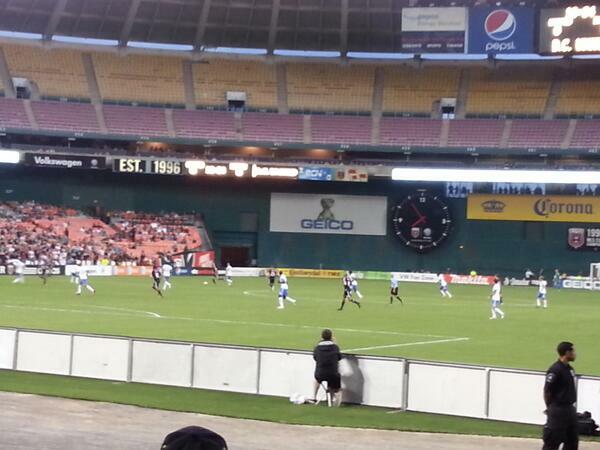 The last and only time I was at RFK Stadium was for a World Cup Qualifier between the United States and Cuba. That game ended 6-1 in favor of the Americans. Tonight was a different game, a different atmosphere and a different time in my life. DC United put up quite a show and delivered only their third game of the season in a rainy finish in the capital city. Washington DC is a different place from Portland, Oregon. The crowds headed towards downtown aren't all chanting for the team, some don't even know the team exists. In fact, the one other obvious fan on his way to the game was wearing a Manchester United jersey underneath a Sounders rain jacket and hat. It wasn't until much further down the line that we saw DC United fans and they were ready for the match. The eroding stadium that is RFK still maintains a certain pedigree due to all the history. DC United is the only major team that calls it home after the Redskins and Nationals both got their own, much-newer homes. DCU might get their stadium soon, hopefully. And yet the crowds were a bit more colorful, more cosmopolitan and decidedly East Coast. Our seats tonight were at the very edge on the west side of the stadium near the goal line. So far forward that we could have been easily hit by a wayward ball. It was an on-field experience and every call and strike of the ball by the players could be felt by us. The Luis Silva goal was as magical in design as it was due to our distance. This kid is underrated indeed. United controlled much of the first half and was the better team both offensively and defensively. As the second half began, Montreal asserted itself and scored a sublime tally right on the same goal we had witnessed Silva's strike. It was game on and DC had let down its guard. But Olsen fought back and replaced DeRosario with Conor Doyle, who had just recently been sent on loan from Derby County. Just minutes later, Olsen's gamble paid off and Doyle scored the go-ahead goal. It should be noted that his was his first goal in his senior soccer career. As the game drew to a close, both teams continued seeking the goal. By then, the rain had started and was getting heavier every second that passed. It was in a dream breakaway during stoppage time that Jared Jeffrey put a final touch on a 3-1 score line that truly did the game justice. But it was the incessant chants of the Montreal Impact faithful, cornered in the smallest spot at RFK, and the hundreds of fans ready to put on their DC United ponchos to counter the rain, and the smile of the one guy without rain gear, without a semblance of expression on his face as the summer evening downpour continued that really got me. This was a true soccer fan. Alone with his thoughts and inner passion, knowing that his team's season had been over for a while now, he let himself soak in the game, the sport, and the atmosphere. This wasn't just his capital city, it was his capital sport. Yesterday American soccer fans received an interesting bit of information about the future of the game in this country: Major League Soccer was looking to add 4 more teams to the league by the year 2020. Is this a good idea? Let's think back to the year 1981. The league in which Pele and Beckenbaur played expanded to 24 teams in 1979. After 3 years with an expanded field of teams at 24, the North American Soccer League (NASL) contracted to 21 teams, then 14, 12 and finally to 9 in 1984. After that, the league folded and pieces of soccer were played in smaller venues with very little attention by most of the population. The reason NASL failed was mostly due to the superclub Cosmos earning most of the attendance and poor planning in the expansion to new venues that weren't carefully analyzed for potential followers of the sport, a lack of the necessary funds, stadiums and coverage. Very few teams made it on the air and Americans lost interest in what was always considered a fringe sport. Is all of this true today? No. But all the pieces aren't there yet either. Early in the 2000s, both teams in Florida (Tampa and Miami) folded and the league remained at 10 teams until the entrance of Real Salt Lake and Chivas USA in 2005. To this day, teams like Columbus, New England, Chivas and Dallas trail the league in attendance and attention, even when they are playing well. And even though some may argue for better management, these clubs should show more progress off the pitch in order to warrant an increase in the number of teams in the league. There are success stories for sure. Kansas City has seen a tremendous resurgence with new leadership, a new stadium and great player development. Houston's BBVA stadium also allowed for the team to continue with its strong attendance numbers. 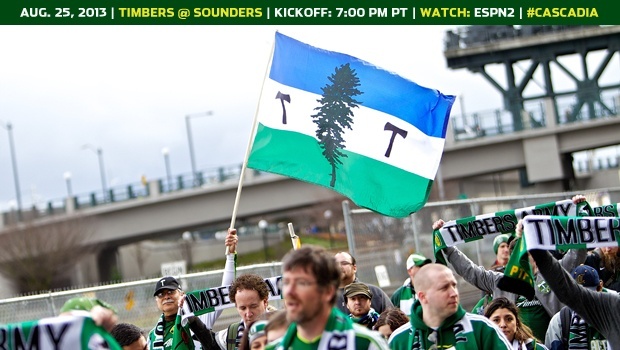 Then there is Cascadia with Seattle and Portland's sellout crowds for every game. 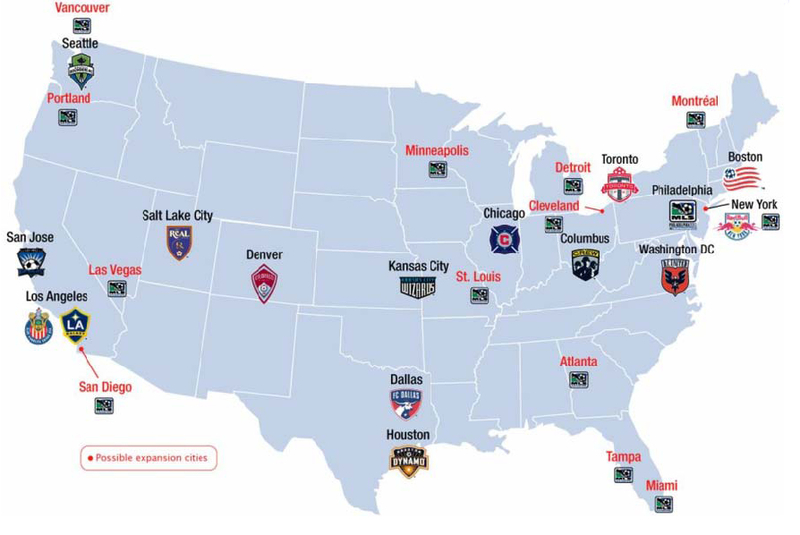 Soccer never left those cities and is here to stay for the long term. Television coverage is also at an all-time high with the addition of NBC Sports Network and continuing coverage from ESPN and Univision. It is still rare, however, to see matches in non-cable networks like other sports enjoy, although national team coverage has grown through FOX and NBC. This, perhaps, is the next big thing the league has to do. Right now, realistically, this is not financially suitable for most networks due to the reach and requirement of other competing sports. If teams such as Orlando and markets like Miami or Baltimore are able to get enough ground support then this could work out, especially if soccer specific stadiums are added. This, most of all, is the key economic component, for rental of bigger football or baseball stadiums drain capital from ownership. There is also a question of players. Can the US produce good, quality individuals? It can but with a good reserve league and a full suite of academies at all levels for all teams. College soccer can only do so much. Foreign stars are also difficult to acquire in their prime while the league fails at international tournaments and most stars want to be in New York or LA, something akin to what occurred with the NASL. These are cosmetic, societal problems to deal with that make an addition of 24 teams more complicated. Ultimately, if the concerns above can be addressed properly and in a timely manner, increasing the field of teams to 24 could work to enhance the sport in America and also to increase player quality and perhaps propel the national team to greater heights. Truthfully, the best course of action would be to enact a promotion/relegation procedure to the league, but this remains economically unfeasible for at least a couple of decades.